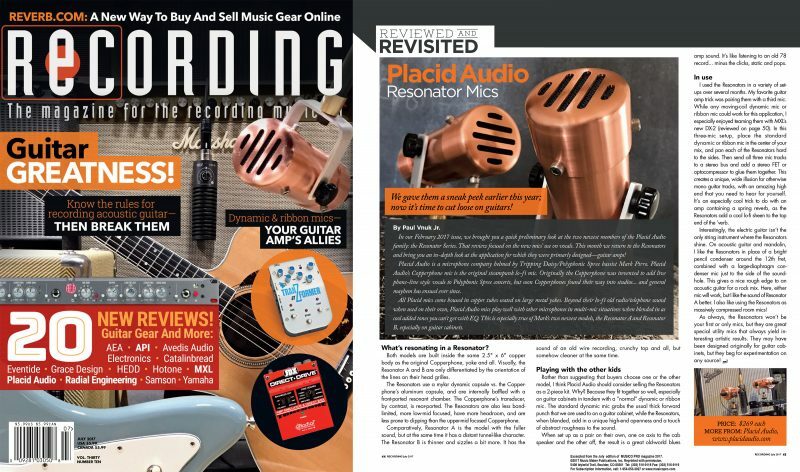 The Resonator Series Reviewed by Recording Magazine! Recording Magazine goes into detail on to use the Resonator A and Resonator B for guitars! Read the full article here. Previous PostThe Resonator A & B Reviewed TapeOp Magazine!Next PostThe Dallas Observer Covers the History Behind Placid Audio!